Happy news for Nursing careers aspirants in UAE. 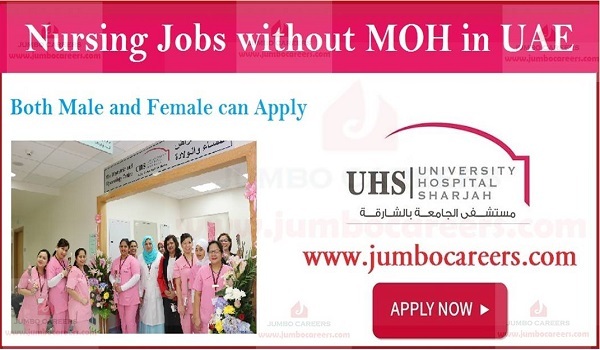 Leading hospital in Sharjah UAE announced latest Nursing job vacancies 2019 in UAE without MOH. Nurses can get MOH after getting employment with this hospital and no pre MOH required for Nurse jobs. ** Only shortlisted candidates will be contacted.